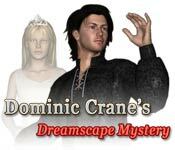 Dominic Crane's Dreamscape Mystery is rated 3.6 out of 5 by 12. Rated 5 out of 5 by pcpat923 from FUN AND RELAXING! OLDER IS BETTER! Straight forward older style game that is fun and relaxing. Different twist on the newer 2017 games for sure. No Strategy Guide but is plain and casual. Players can readily figure out the next step without hand holding. The hint system, although not very sophisticated, is quite sufficient. Absolutely appreciate when members take the time and list a Current Favorite which is how I found this little gem. Thanks so much! Enjoy! Rated 5 out of 5 by AdrianaIP from Beautiful and relaxing This is a game to play slowly, because of the beauty of the setting. 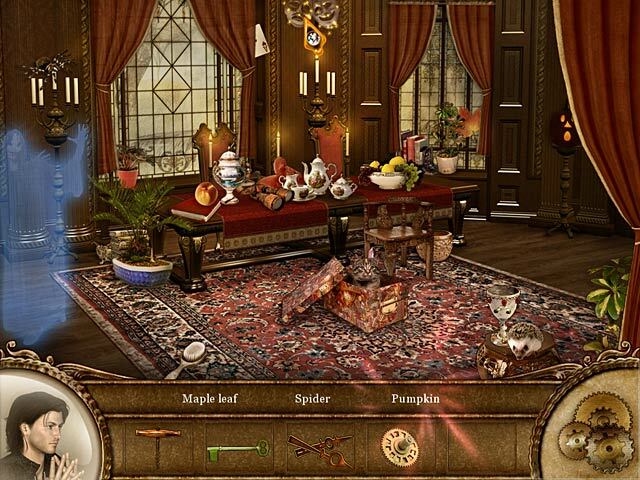 Minimal hints, so that you have to figure out what do do, The hidden object scenes are pleasant enough and each scene involves two or three rooms, where you have to find things or apply what you have. There are more games like this. I hope that they do not go the way of other games like Azada or City of Fools where they discard the best features and instead create a generic Adventure/HOG story. Rated 5 out of 5 by shagwendy from A game for AZADA lovers You have 3 or 4 scenes with inventory puzzles and simple H0 scenes. No instructions but easy enough to figure out if you think about what you have in your inventory and what you can do with it. Because the story doesn't really carry on from chapter to chapter it is easy to stop and start this game if you just have a short time to play. I really enjoyed this one! Rated 4 out of 5 by Tassiegal from I enjoyed it! There's quite a lot to enjoy in this game IMHO and I found it quite relaxing. I liked the episodic setup - it's easy to complete just one chapter if time is limited. As a rule, I get irritated with games that give little or no guidance about what to do (and this one is very thin in the guidance area, as other reviewers have noted) but somehow it was no problem here. Usually it was fairly easy to work it out and when it wasn't, a bit of trial and error did the trick. I liked the quirky nature of some of the scenes - they are dreamscapes after all, so it's fine that some of the solutions to the in-scene problems are quite nutty. The graphics have a very dated look but that's not really a problem - it doesn't hamper the gameplay. I didn't like the music (though at least it was proper music, and wasn't loud and frenetic) but I just turned it down, so that was OK. It's not an all-singing, all-dancing game with lots of action so wouldn't be everyone's cup of tea but if you like puzzles as well as HOS and not too much hand-holding, at least have a go with the trial version. Rated 4 out of 5 by Hookedonbigfish from Good game with a slightly different twist Dominic Crane visits his shrink to help him try to understand his dreams of different places he has never been to. At first this game was hard to fathom out, and it wasn't very clear what the object was or what the developers were actually trying to acheive. As other reviewers have written the puzzles gave no clues or hints of what was required but as the game progressed it all suddenly clicked and it all seemed to come together. It developed into a very interesting and rewarding game which did test the old grey cells a bit and was quite challenging in places. There was no voice overs and the written dialogue was just adequate enough to guide you through the game. The graphics were quite clear and colourful and the bulk of the hidden objects did not present much of a problem. The puzzles, however at times did trouble the brain a bit and others were very reasonable. All in all quite a satisfying and rewarding game. I enjoyed it and would recommend it . Rated 4 out of 5 by peglegann from Challenging At first I found this very frustrating and got stuck on how to move the dragon to get the tape. Kept going to look for help from the forum. After I found out how to do this I realised that if I clicked everywhere (outside of the hidden object scenes) a sparkle would appear. Decided to buy and as it is a medium length game decided only to use hints rarely. Two of the mini games I found hard, and hate to skip as it does not give you chance to see solution and understand it. 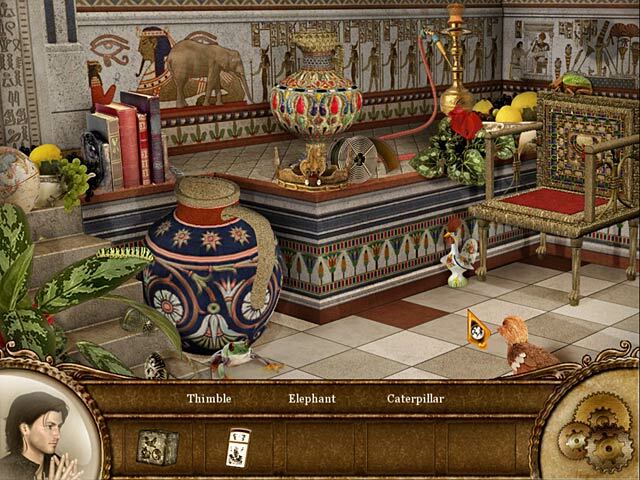 All in all I am glad I persevered as I use hidden object games to test the old brain I am not usually interested in the story. Again I say well done BFG. 9/10. I did finish it. I recommend people to try to stick with it. Rated 3 out of 5 by pennmom36 from Dominic Crane's Dreamscape Mystery Dominic Crane is an artist who lately has been having recurring dreams. Dominic decides to visit a psychiatrist to find out what these dreams mean. The doctor puts Dominic into a hypnotic trance and voila, you enter one of Dominic's dreams. The goal is to find a key to enter the next dream and when you have located all of the keys, you will solve the dream mystery. You will need to visit each location available in the current dream, and solve various problems, such as fixing electrical wires, finding doorknobs and door keys, and whatever inventory item you need to progress. 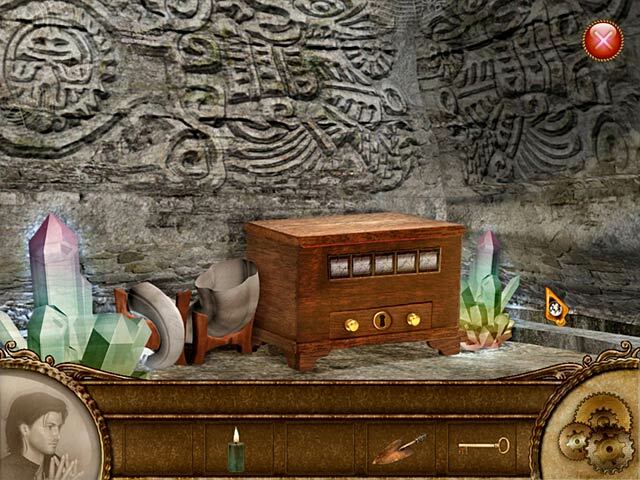 The inventory items are found within the hidden Object Scenes and because each scene has the same basic color hue, some of the items are difficult to find. There is also a cursor penalty for misclicks, but only a second or two. The items that sparkle in the scenes are the items that require you to use an inventory item such as a pair of scissors needs to be used on the pillow to receive a safe's code. There are also several mini games to solve such as turning several discs to complete a picture, swapping puzzle tiles and rotating jigsaw pieces. Some of the mini games require you to find a clue first such as the number to the safe, and then you have to figure out the rest of the code by reason of deduction. The problem I had with this game is that you don't get any guidance with the mini games, no explanation and no hint, only the option to skip the entire puzzle. The hint system seems to only work in a HOS. Rated 3 out of 5 by Rebr2009 from Provides a pleasant moment With hypnosis, Dominic will understand his dreams. - Lot of HOS - Several enjoyable mini games - Great graphics, very well done; - Good voice over; - Nice music; - Varied locations - Sometimes is challenging (as the pyramid), others are quite easy (like puzzles of landscape or find pairs, etc). - Mini games (and some sparkles in locations) do not have instructions. Sometimes it's obvious what has to be done and sometimes you get a little lost. So, it's necessary to wait a while, and suddenly you find something that leads to the solution ( you hit yourself! ... hints are not very helpful). - Not a long game. Rated 3 out of 5 by mspaws from Still have not finished it I just cannot get through this game, Doesnt hold my interest. Good graphics and music, though! Rated 3 out of 5 by skye1945 from Fun if you want to relax I have played both the Dominic Crane games and enjoyed them both. The graphics are nice and clear, the music is interesting without being obtrusive and it is easy enough to work out what to do with inventory items. It is not the most difficult game I have played but it is one I have played more than once when I want less of a challenge. I like being able to do the mini games without tearing my hair out.